Zynga's games will never come to Xbox Live because it doesn't have a big enough audience. 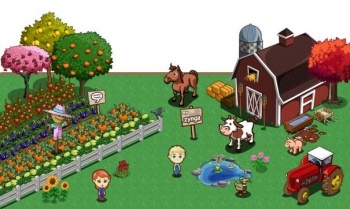 Zynga has made a name for itself as the developer of many popular social games such as FarmVille, FrontierVille, CityVille, and non-Ville Mafia Wars. Because of their popularity, you might expect Zynga to release these games on every platform possible, including the current generation of consoles and handhelds like the Xbox 360 or the Nintendo DS. Despite millions of gaming-focused machines currently sitting in the hands and living rooms of consumers across the world, Zynga says the audience there is just too small. Speaking to IndustryGamers, Zynga chief game designer Brian Reynolds said that the company is after more of an audience than the Xbox 360 or PlayStation 3 can deliver. As a specific example, Xbox Live has 30 million active users, while Facebook boasts over 500 million. "We're after a lot of demographic," Reynolds said. "[Xbox Live's] too small a demographic. Think about, of my friends, how many of them own an Xbox 360? Well, I'm a game developer and I even come from a triple-A space so we might even be in the double digits... Twenty or maybe even thirty percent of my friends might have an Xbox 360, but effectively 100% of them have Facebook and effectively 100% of them have a mobile phone. Of them, probably 90% have a smartphone." Zynga's games, which are built around social mechanics like external item requests and those infernal wall posts, wouldn't work as the company wants on a platform like the Xbox 360 or PlayStation 3. According to Reynolds, these consoles aren't as "inherently social" as mobile phones or Facebook. Reynolds talked about a desire to have people "socialize cross-platform," but didn't say how this might be possible. The bottom line is that we aren't going to see FarmVille on Xbox Live anytime soon, which is either a positive or a negative depending on your view of the Villes.